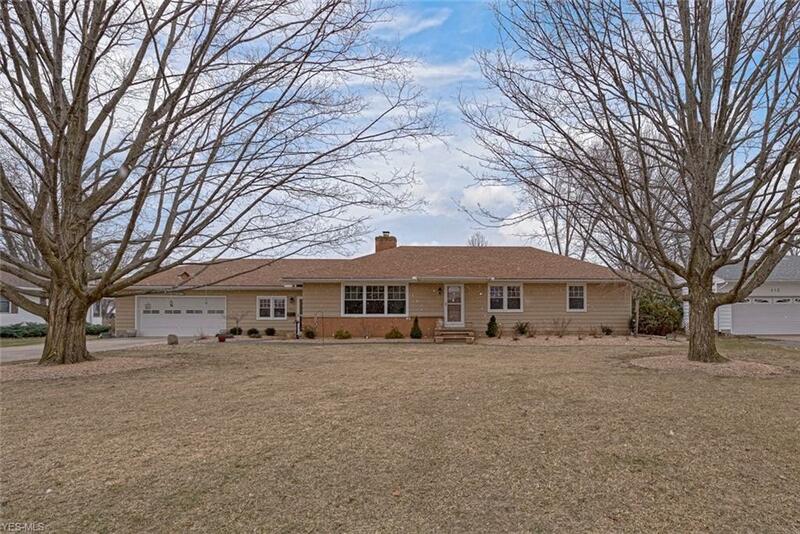 Welcome home to this delightful ranch-style home in Amherst! As you step inside, you will immediately appreciate the gleaming hardwood floors that flow through the main level. The living room features a picture window and a beautiful stone fireplace and opens to the formal dining room. The kitchen features a sunny eat-in area, all appliances and sliding glass doors that lead to the back patio. The kitchen steps down to a cozy family room, which also provides access to the backyard. The master bedroom features an en-suite half bath and a spacious closet. Two additional bedrooms and a beautifully updated full bath with granite counters complete the first floor. The full lower level is partially finished lower level with a convenient laundry area, a half bathroom, and an abundance of storage space. You will love the spacious backyard, which features a patio, an above-ground pool, and a full privacy fence so you and your family can enjoy time outdoors. Other recent updates include a newer furnace and newer insulation throughout. Located on Shadylawn Drive just off of North Main Street, this home is in close proximity to Deerfield Town Center, Amherst Beaver Creek Reservation, and area schools, very convenient to area highways. Do not wait to fall in love with this charming home!